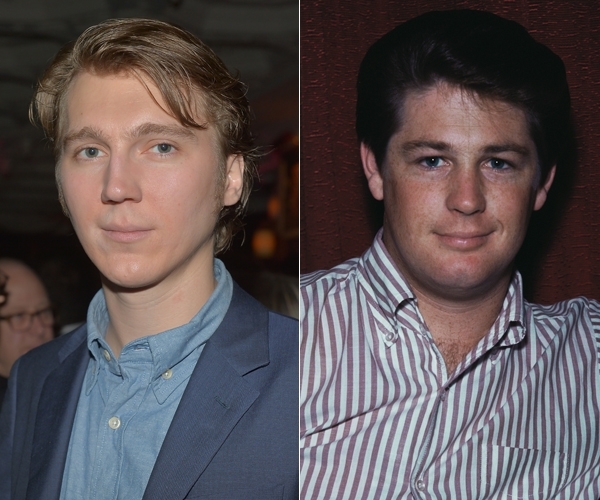 Paul Dano will play Brian Wilson in the upcoming biopic Love and Mercy, which Bill Pohlad is set to direct. Atticus Ross – who won an Oscar with Trent Reznor for their music for The Social Network – is in talks to write the film's score. "I am thrilled that Paul Dano has signed on to play me during one of my most creative explosions and most fulfilling musical times in my career," Wilson tells Rolling Stone. "I still can't believe how cool it is that my life will be portrayed on the big screen, and to have Bill Pohlad as the captain of the Sloop John B is amazing! It just makes me feel so humble. I can't wait to see it with a full tub of buttered popcorn." The project is taking a slightly different route from most biopics, as the Hollywood Reporter notes. With so much ground being covered – from Wilson's early days with the Beach Boys to his departure from the band and struggles with his art and mental health – two actors will play Wilson. Dano (There Will Be Blood, Little Miss Sunshine) is set to play the younger Wilson, while the older Wilson has yet to be cast. Pohlad is primarily known as a producer (Tree of Life, Into the Wild). Written by Oren Moverman, who cowrote the 2007 Bob Dylan movie I'm Not There, Love and Mercy has been in the works for a little over a year. Pohlad acquired the life rights of Wilson and his wife, Melinda, last year, as well as permission to use his music.